The Dixie Amateur Radio Club publishes a quarterly Newsletter. Newsletters contain information about activities of the Club, i.e. a previous Club Meeting Report or special events where Ham Radio was involved. Articles may also include club member spotlights, messiest and most presentable ham shack pictures, equipment reviews, etc. 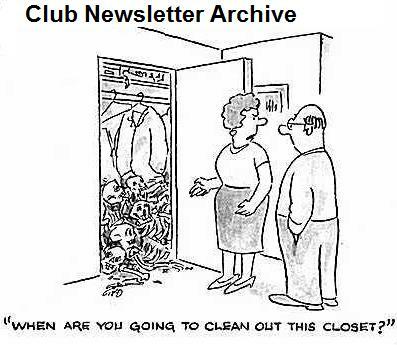 Below is an archive of past Club Newsletters. Prior to 2007 the Newsletters were published as HTML documents. To ensure consistant formating for printing hard copies, beginning in 2007 the Newsletter is now published as a PDF file. You can also view the most current edition of the Club Newsletter by clicking HERE or by clicking on the "Current Newsletter" button at the bottom of each page on this site.